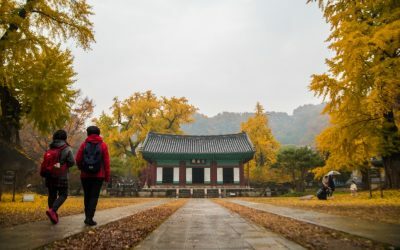 When leaves turn yellow, orange, and red, it’s the best time of the year to visit Jeonju Hyanggyo (Confucian school). 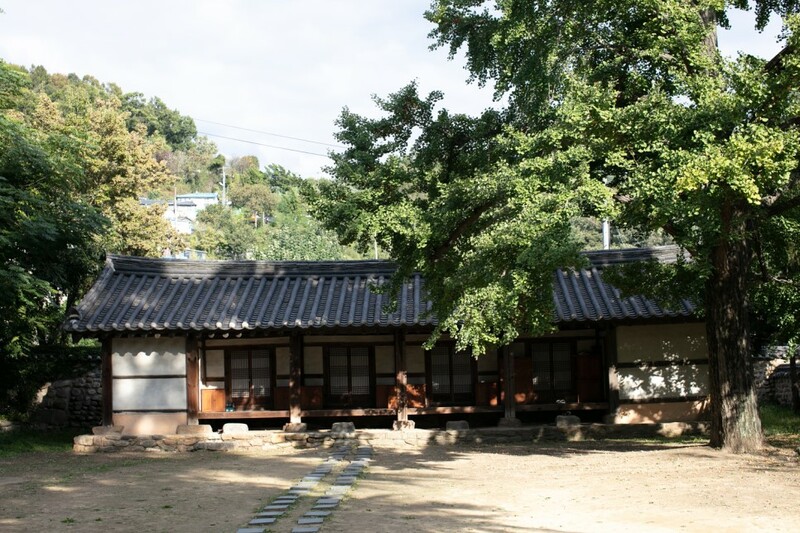 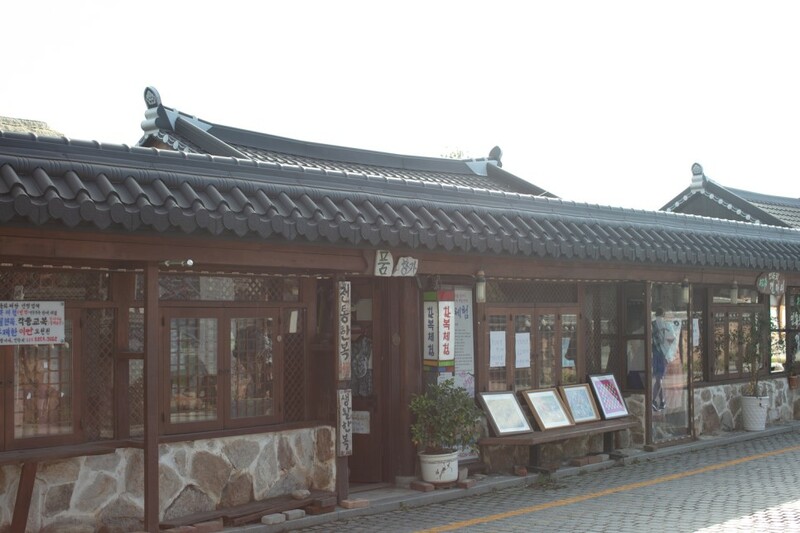 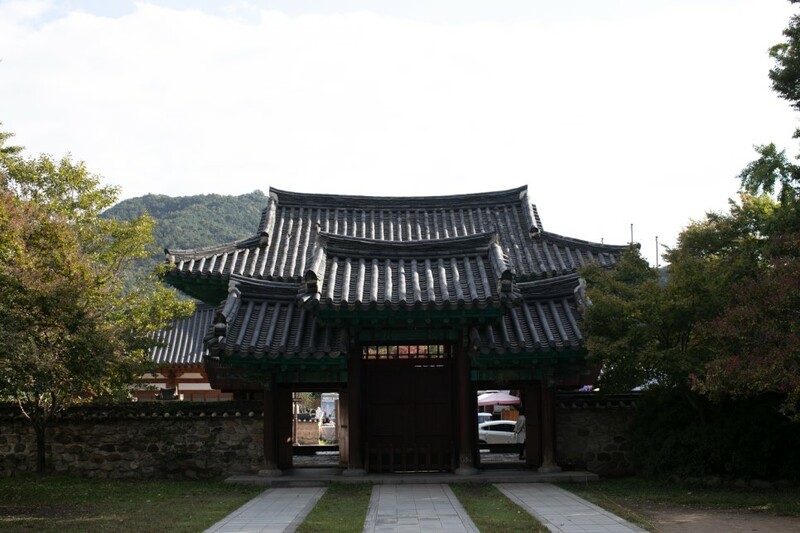 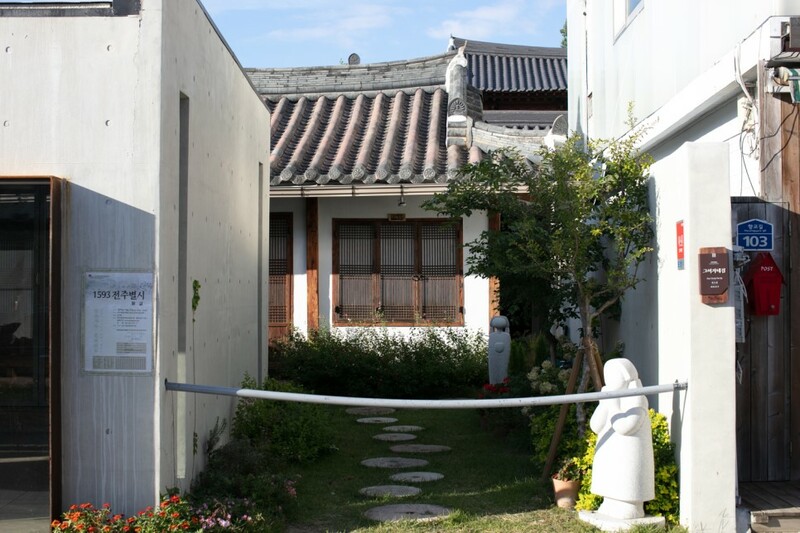 Thanks to its antique courtyard and buildings, Jeonju Hyanggyo appeared in several successful television shows, such as Sungkyunkwan Scandal (2010) and Moonlight Drawn by Clouds (2016). 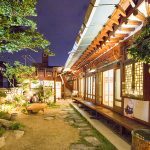 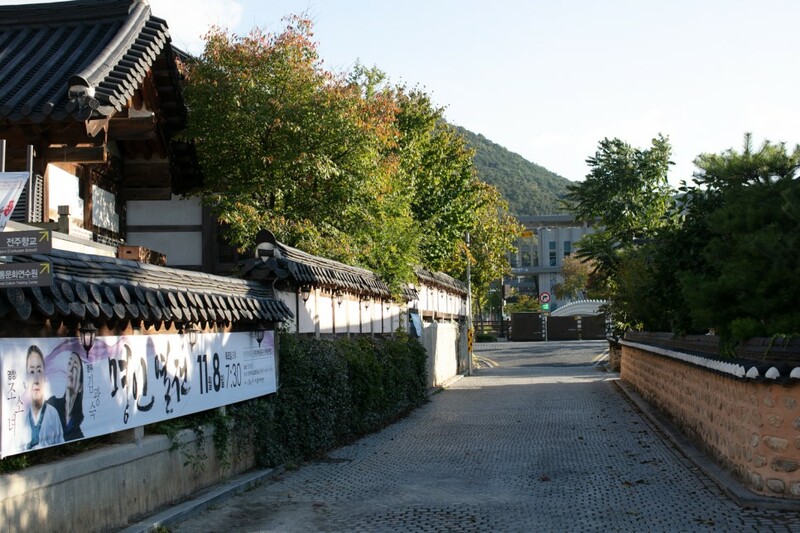 Away from the busy and crowded main streets of Jeonju Hanok Village, Jeonju Hyanggyo and the alleyways surrounding it are the best places to enjoy the autumn mood. 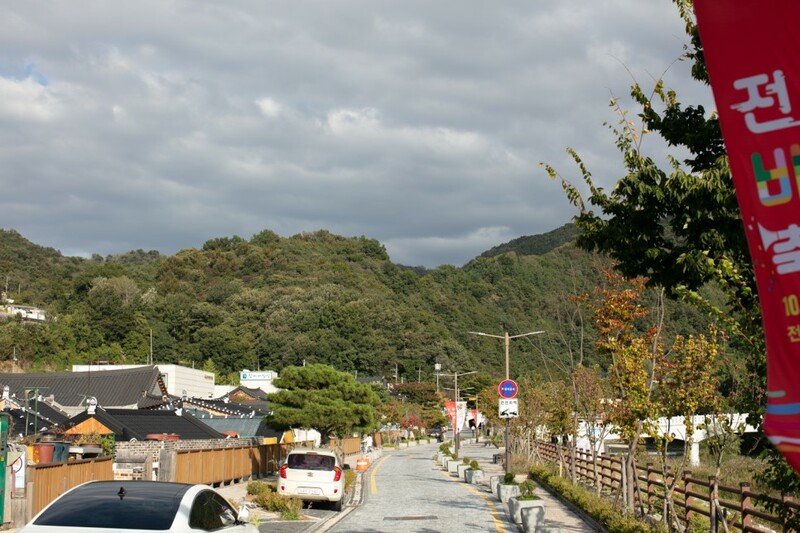 The giant gingko tree at the courtyward of Jeonju Hyanggyo was slowly turning yellow when I visited. 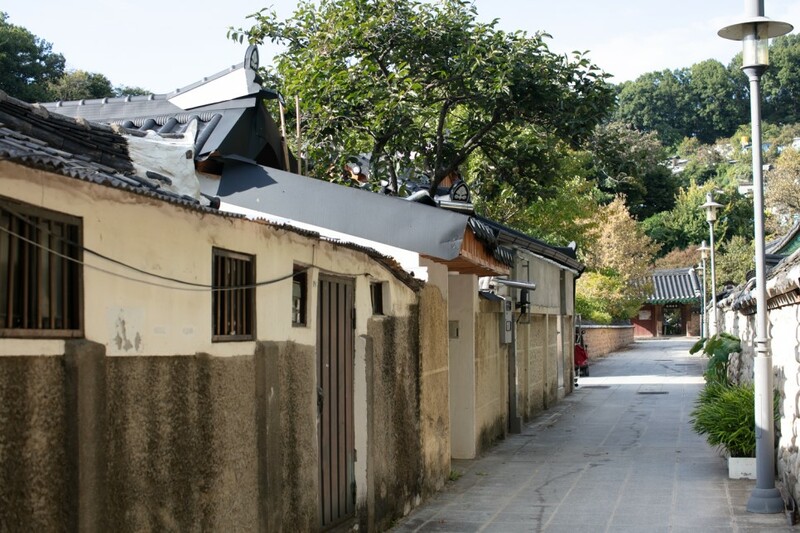 Jeonju Hyanggyo is surrounded by small alleyways. 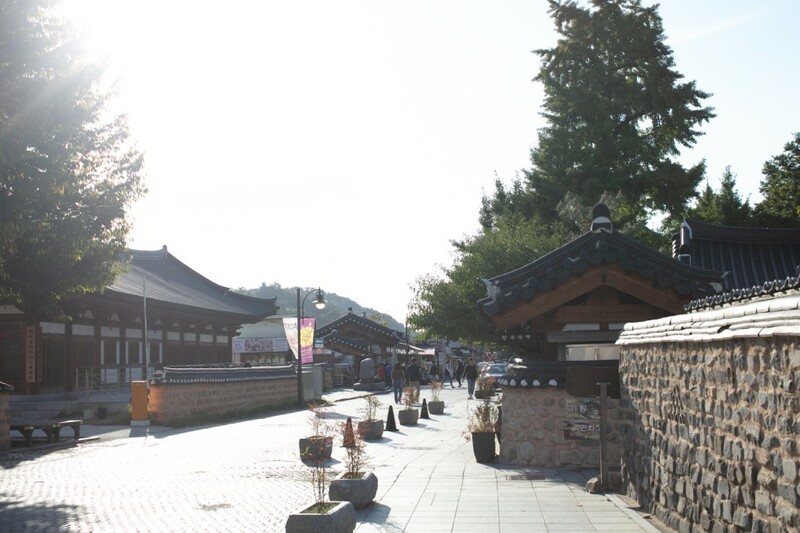 They lead to the Jeonjuhyanggyo-gil Street, so you won’t get lost. 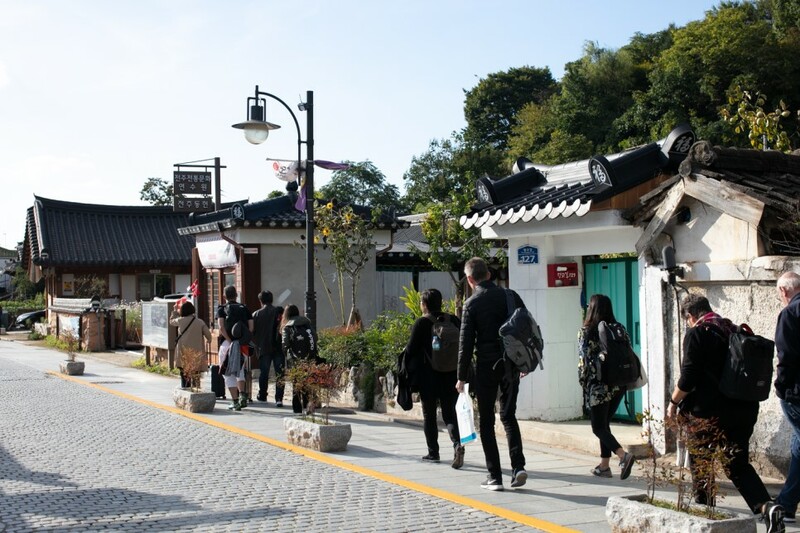 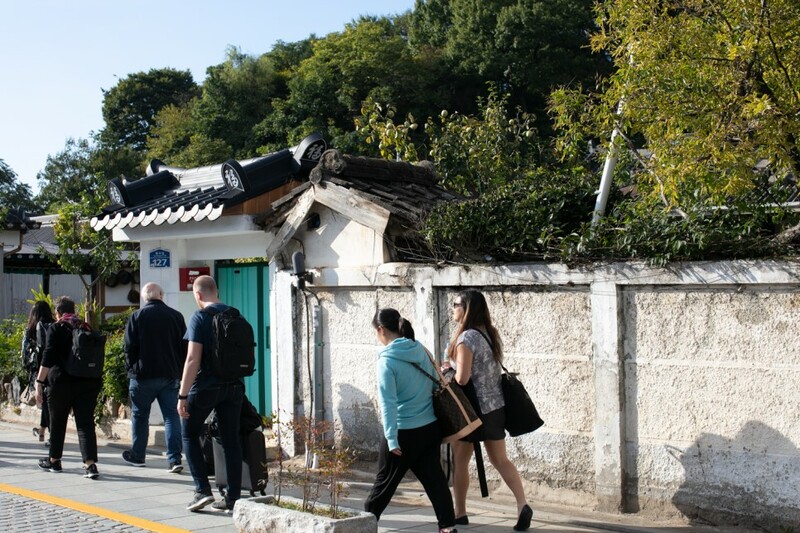 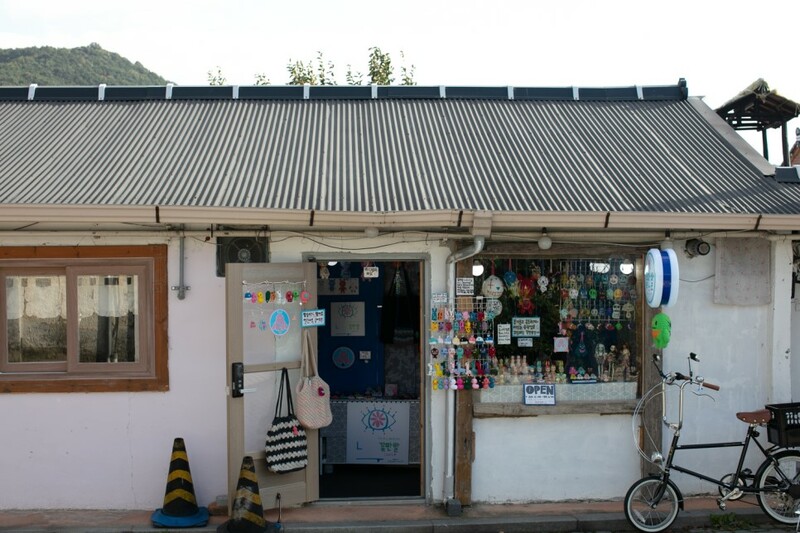 Even during the weekdays, it’s easy to come across many tourists in Jeonju Hanok Village. 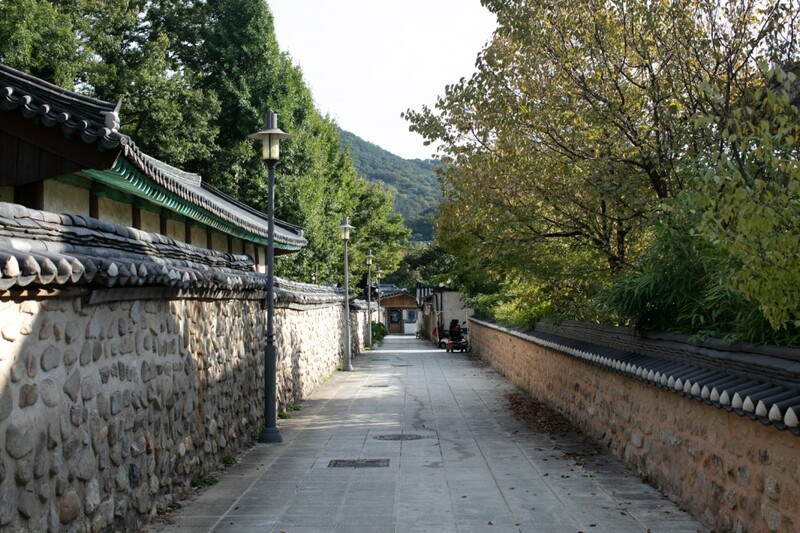 On the left and right of Jeonju Hyanggyo are labyrinthine alleyways. 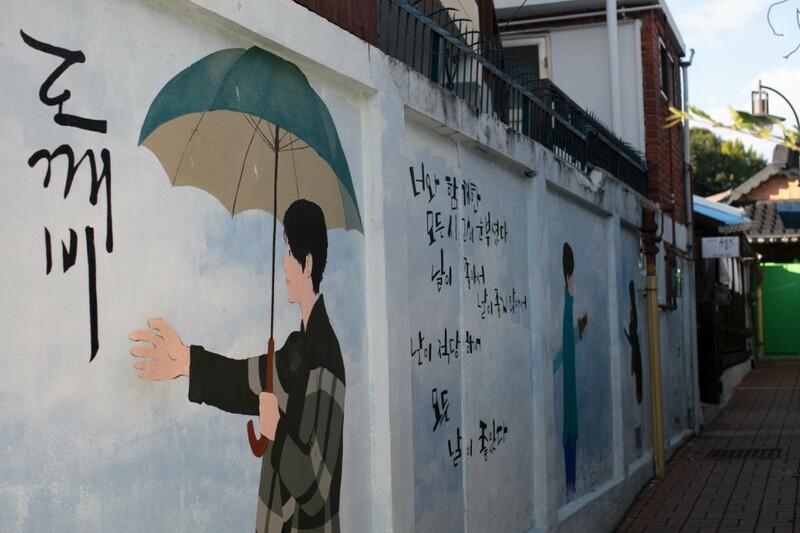 Some of the walls on the alleyways have murals drawn on them. 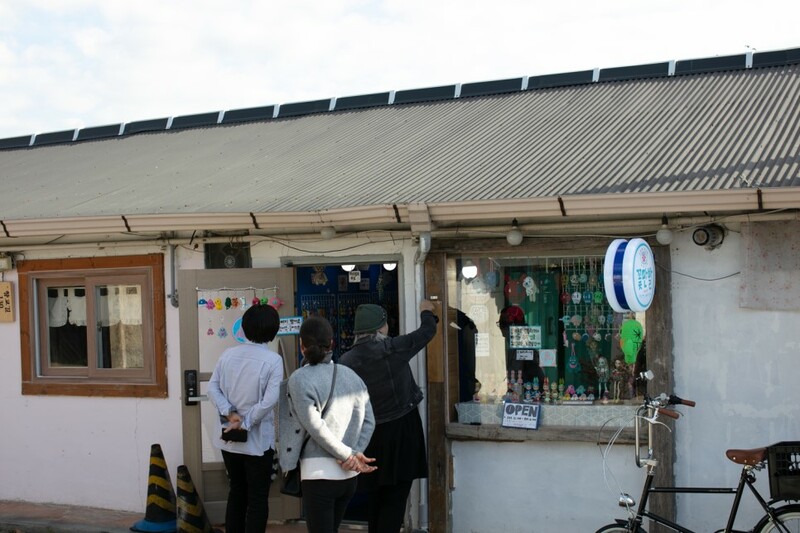 Must be nice to take photos in front of them. 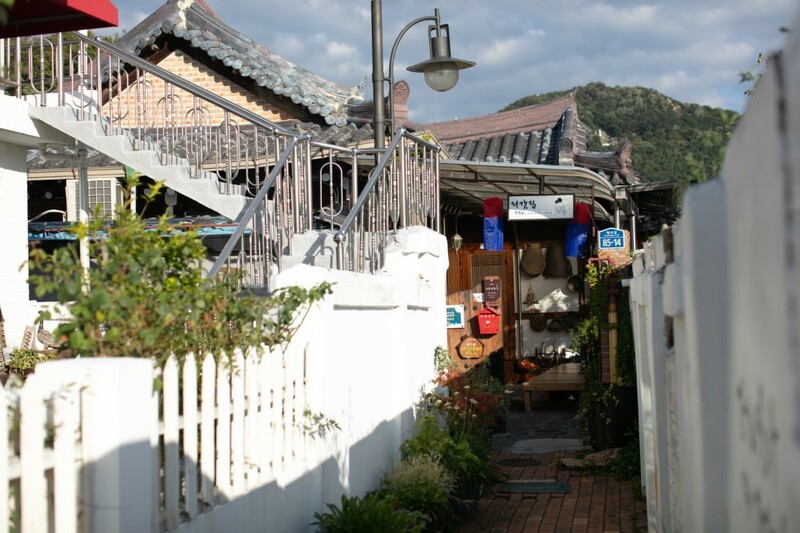 You may choose to stay in one of the guesthouses on the alleyways. 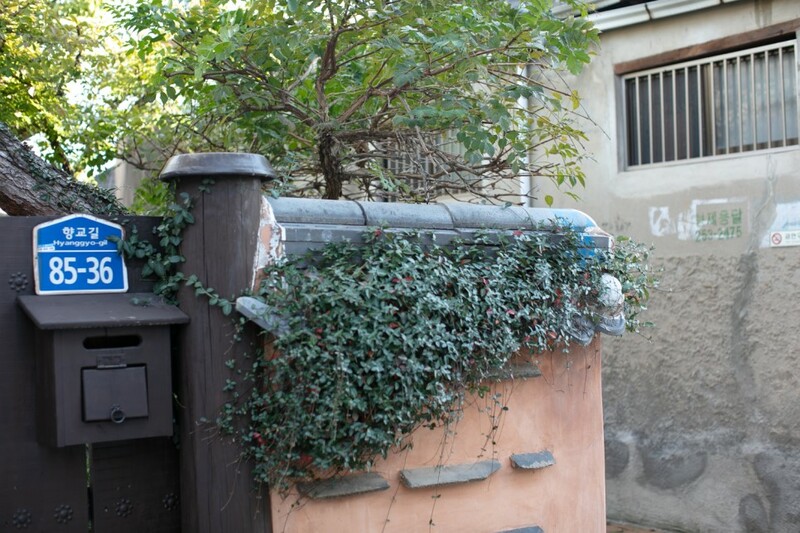 The ivy-covered walls of the guesthouses make the neighborhood seem all the more antique and elegant. 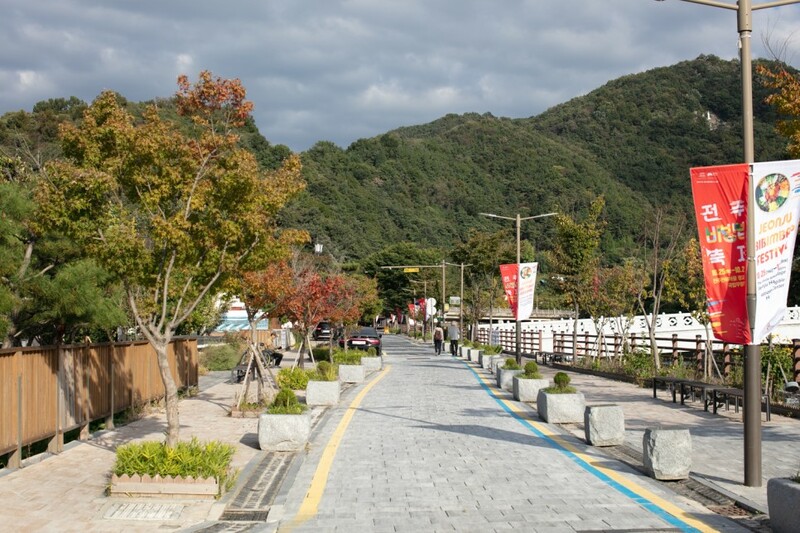 Walk along the street in front of Jeonju Hyanggyo is Jeonjuchun River. 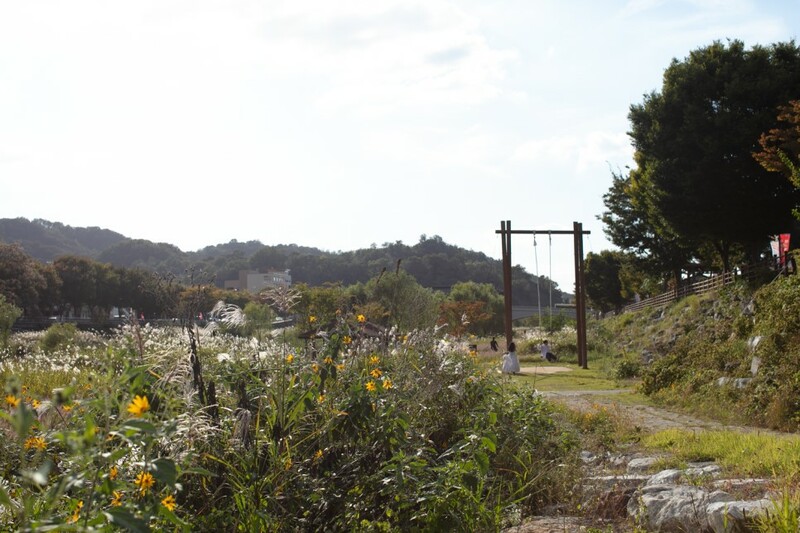 The riverbank is covered with silver grass dancing in the cool autumn breeze. 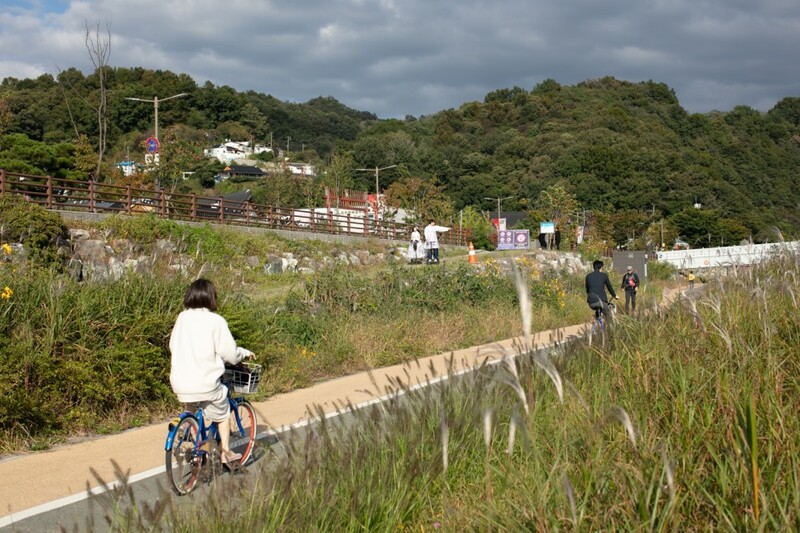 If you hire a bike to get around the Hanok Village, I recommend biking along the trail that runs through the field of silver grass. 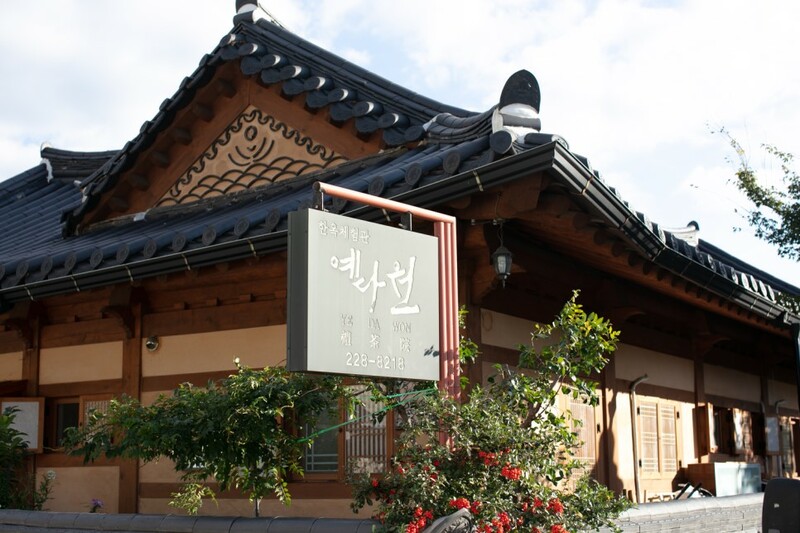 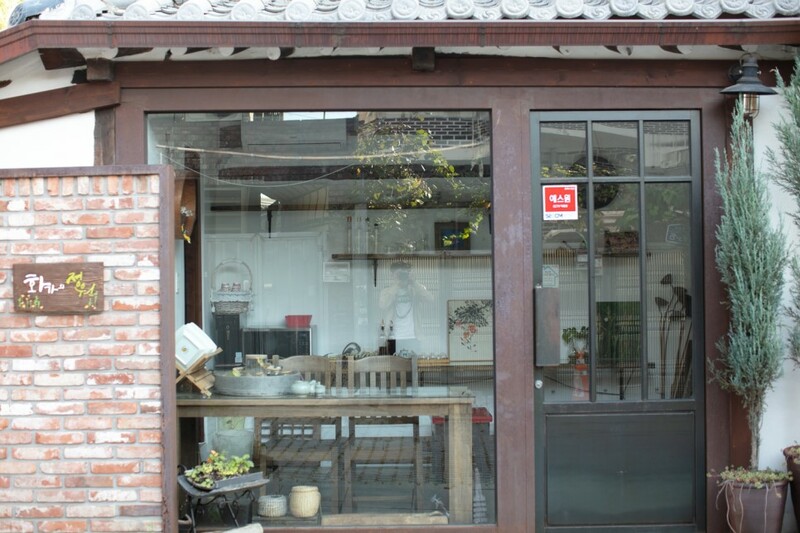 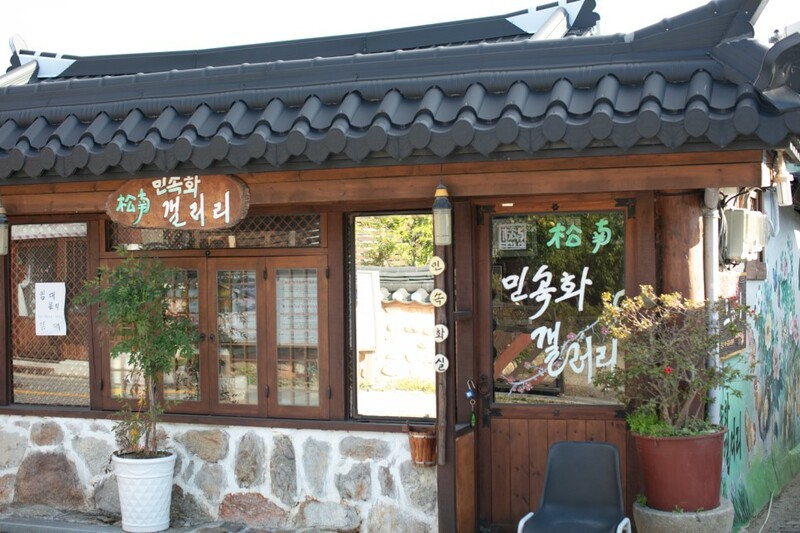 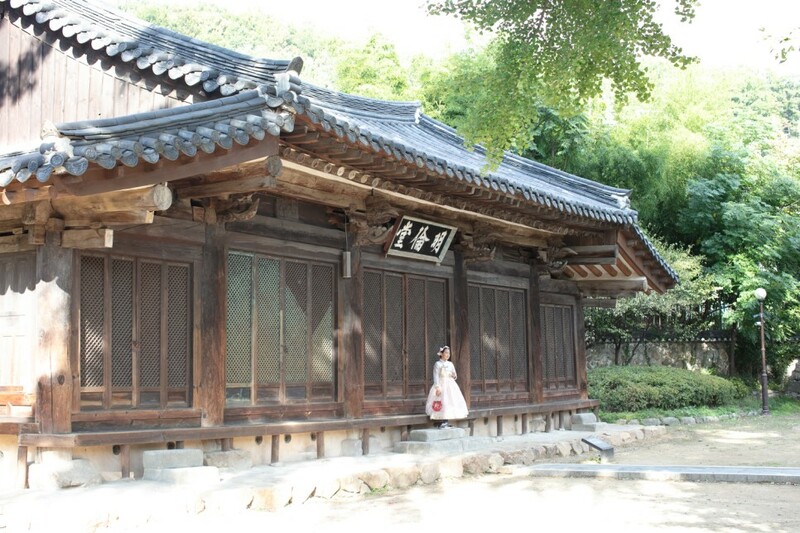 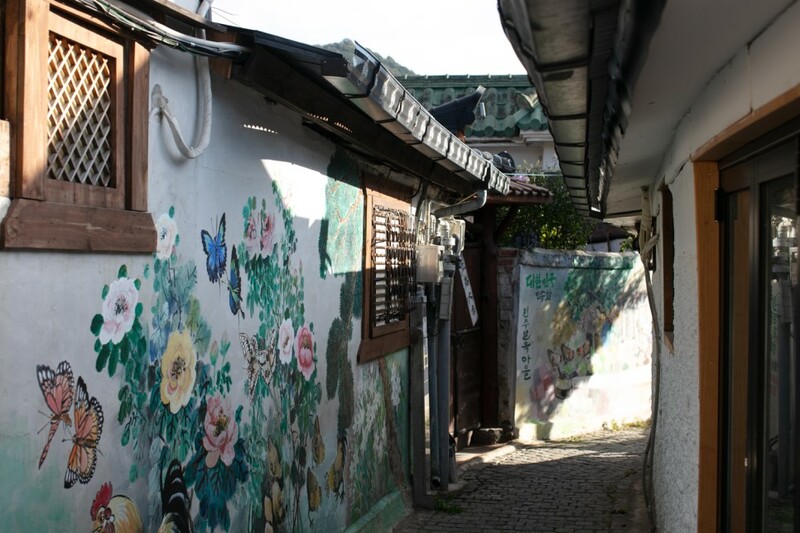 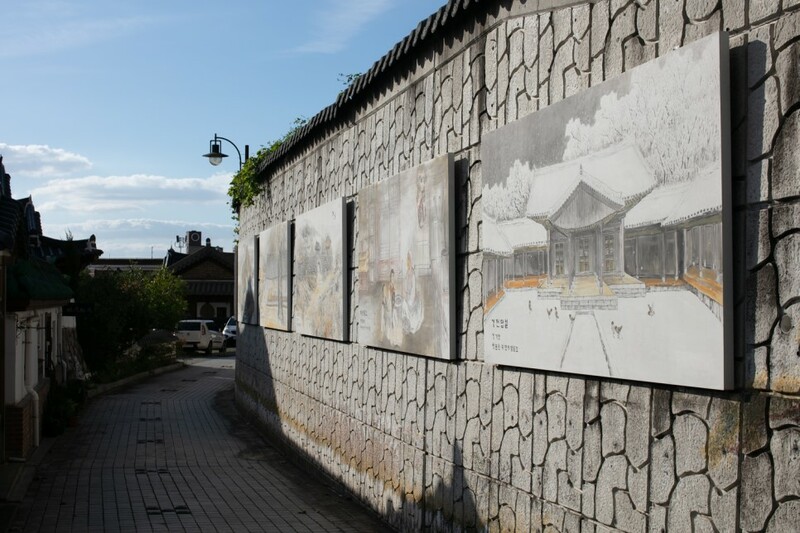 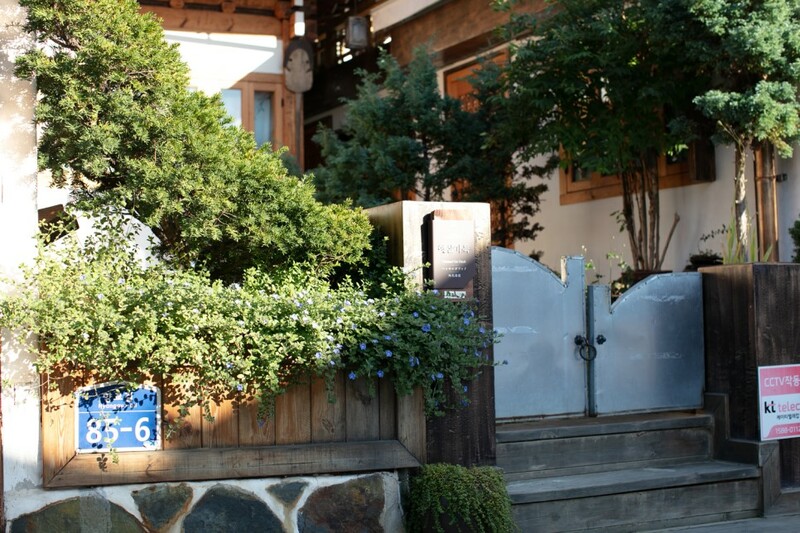 Away from busy streets, Jeonju Hyanggyo and the alleyways surrounding it are the hidden gems of Jeonju Hanok Village. 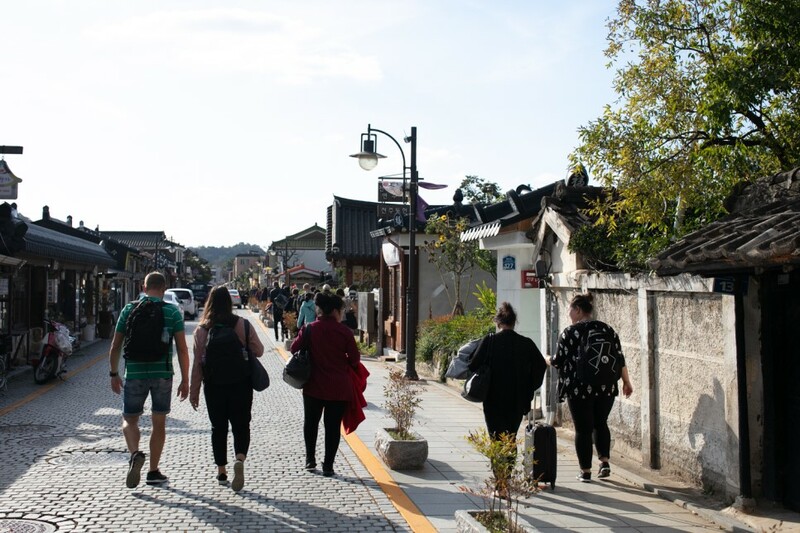 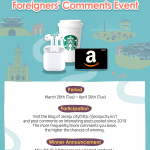 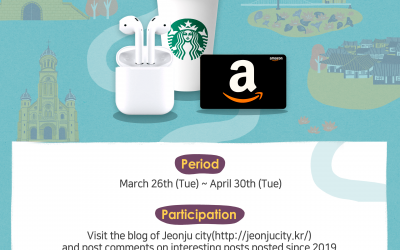 Why don’t you visit Jeonju Hyanggyo with your family, friends, or significant other before this autumn passes? 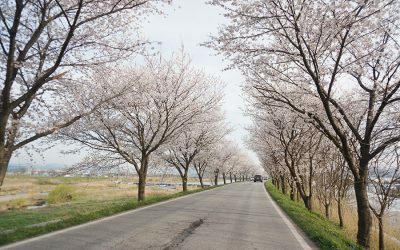 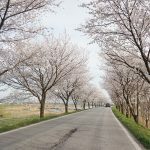 It seems to be a great travel spot and worth to go for a visit!! 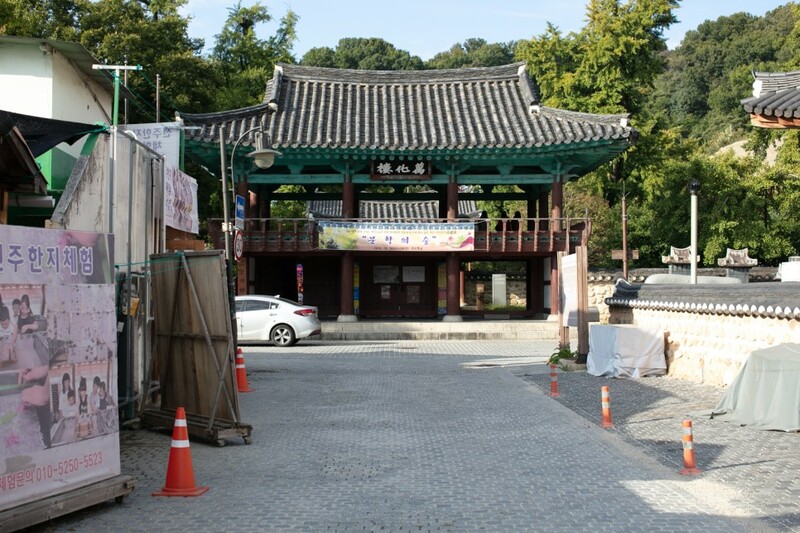 I watched the two dramas that mentioned in the blog but didnt know that it was filming at this place!! 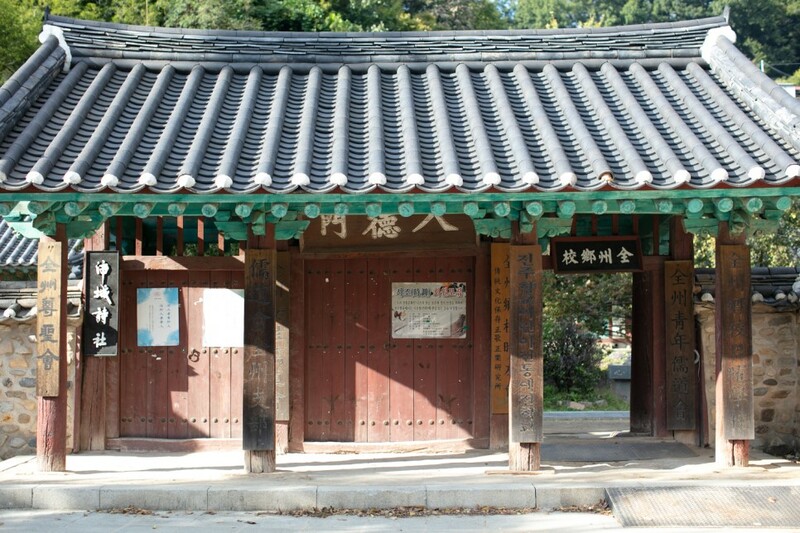 Best part of living in Korea is its Confucianism culture. 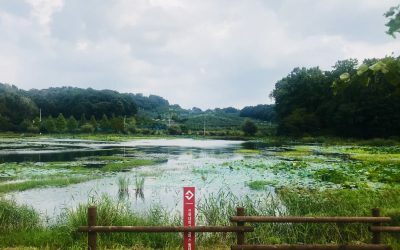 It helps us to bring close to nature. 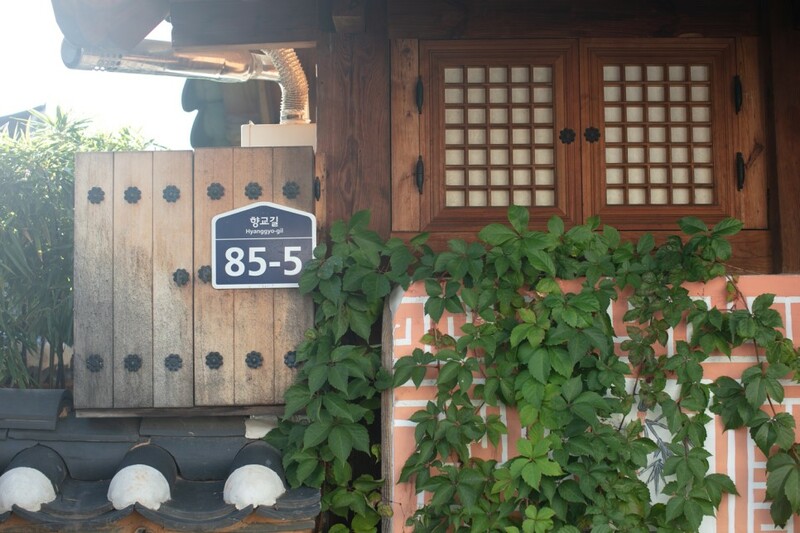 Jeonju is keeping this centuries old culture alive. 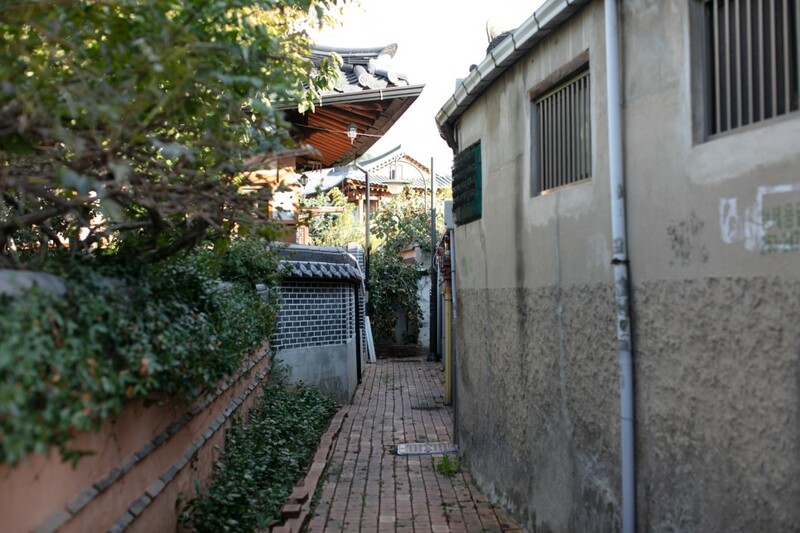 The little alleyways are so charming. 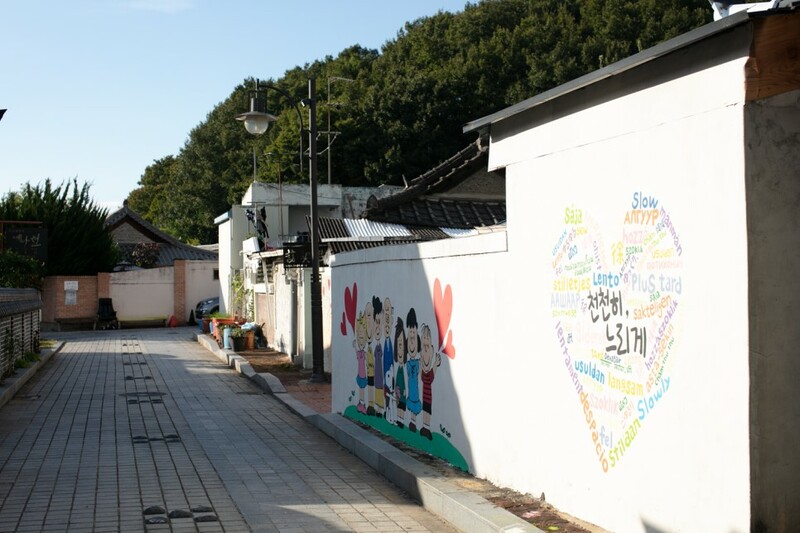 It’s like being in a manhwa!